MADRID ALQUILA is the best option for comprehensive management of lettings in Madrid. Since 2008, offering an excellent service (ISO 9001 quality certified) for landlords who intend to let their properties through a third party. We offer efficiency, high quality and transparency at a reasonable price. Learn a little more about Madrid Rent, your rental agency in Madrid, and discover why, thanks to values such as honesty, transparency and efficiency, we have managed to stand out among the different companies in the sector. 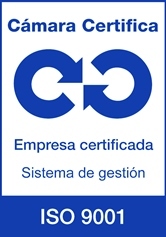 It is not a normal rental agency in Madrid, it is an agency committed to owners and tenants, it is an agency that seeks perfection in its work every day, an agency that holds the seal of quality ISO 9001. The excellent multidisciplinary team of Madrid Alquila makes possible that more than 700 owners have given us the management of their properties, we usually find a tenant in about two months. It is for all this, that in our “Customer Opinion” section, so many people recognize and congratulate us for the work we do.